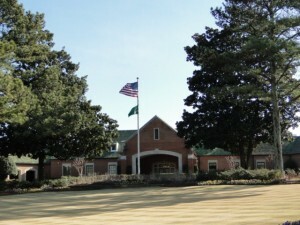 Dunwoody Club Forest is ideally located between Dunwoody Club Drive and Mt. Vernon Road in the heart of Dunwoody, in the 30338 zip code. With easy access to Perimeter Mall, Dunwoody MARTA Rail Station, GA 400, and I-285, Dunwoody Club Forest is a prime location. Map of Dunwoody Club Forest. 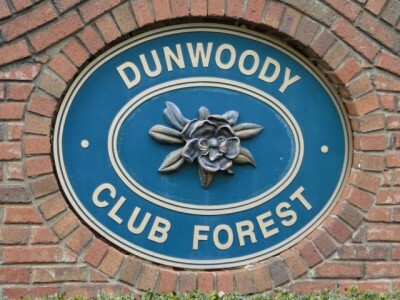 Here are the top 10 reasons we love Dunwoody Club Forest and the Dunwoody area. 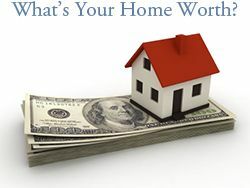 Country Club is located at 1600 Dunwoody Club Drive, Dunwoody, GA 30350. 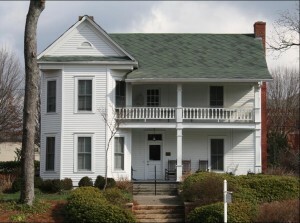 For membership information, call (770) 394-4492. Shopping & Dining – Within walking distance from the neighborhood is the Orchard Park Shopping Center, Mt. Vernon Shopping Center and the Williamsburg at Dunwoody Shopping Center. They are all located next to each other at the Mt. Vernon, Dunwoody Club Drive, and Jett Ferry Road intersections. Orchard Park has Kroger, Starbucks, Los Rancheros Mexican Restaurant, Sport Clips, GNC, Subway, Lauderhills Fine Jewelry and more. Williamsburg at Dunwoody is home to shopping and dining such as Arby’s, Carvel Ice Cream, Dunwoody Bistro, Bank of America, Jett Ferry Cleaners. All Creatures Animal Hospital, and The UPS Store can all be found at Mount Vernon Shopping Center. Read more about Dunwoody Shopping and Dining in Downtown Dunwoody and around the Perimeter Mall. Private School Bus Transportation – Conveniently located at Orchard Park Shopping Center, the drop-off and pick-up bus location allows transportation to many of Atlanta’s private schools including Woodward, Greater Atlanta Christian, St. Martin’s Episcopal School and others. Great Schools – For the 2011-2012 school year, Dunwoody Club Forest residents are zoned for Vanderlyn Elementary School, Peachtree Middle School and Dunwoody High School. Great Schools gave Vanderlyn Elementary School a perfect 10 and Dunwoody High School a distinguished 9 out of 10. Dekalb County School System went through redistricting for the 2011-2012 school year. Click here to look up Dekalb County schools based on an address. Dunwoody Club Forest Neighbors – Get to know your neighbors by being members of Bridge Club, Book Club, Neighborhood Watch Program, Holiday Events, Kid, Events, and the Annual Garage Sale. Dunwoody Club Forest Neighbors community association works hard to make residents aware of current events and create a sense of community unity. Dunwoody Nature Center – Open year round, the Dunwoody Nature Center gives visitors a chance to enjoy nature while learning. The nature center offers educational classes, summer camps, birthday parties, school field trips and camping. 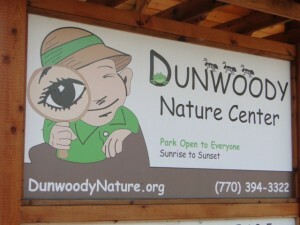 Dunwoody Nature Center is located at 5343 Roberts Drive, Dunwoody, GA 30338. Annual Events – Dunwoody offers many annual events to bring the community together. 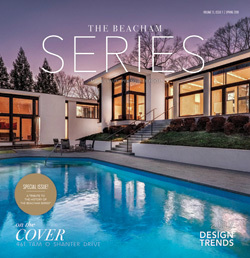 Events include: A Taste of Dunwoody, Lemonade Days Festival, Dunwoody Art Festival, 4th of July Parade, Dunwoody Home Tour, Dunwoody Music Festival and Chili Cook-Off, Marist Holiday Traditions, and Light up Dunwoody. Green Space – Brook Run Park, located at 4770 North Peachtree Road in Dunwoody, is 102 acres of multi-use fields, picnic areas and trails. Brook Run Park is home to the the Brook Run Skate Park and Brook Run Dog Park. At the Chattahoochee National Recreation Center enjoy a walk on the nature trails, raft the Chattahoochee River or picnic with friends and family. The Chattahoochee National Recreation Center is a top spot for Atlantans to escape city life. Arts – Located at 5339 Chamblee Dunwoody Road, Back Door Players is community theatre founded in 1974 by the Dunwoody Woman’s Club. Click here to see what’s on stage. A private, non-profit organization founded in 1975, Spruill Arts Center offers visual and performing art classes for all ages. Sports – Dunwooody is filled with sports! Murphey Candler Little League and Dunwoody Senior Baseball for the baseball players; Murphey Candler Colt Football offers football and Cheerleading. Dunwoody High School and private schools in the area have sports to watch and play year round. Blackburn Tennis Center and Sandy Springs Tennis Center offers recreational play and league play.